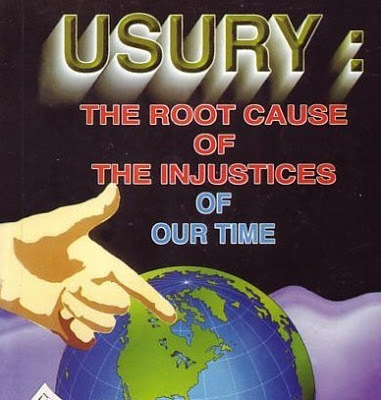 Usury is the original sin and the root cause of all our economic and political problems. The truth is we have everything we need to create an interest-free money supply. An usury-free economy ends poverty and saves our souls in the process. The love of money is the root of all evils. Usury is the weaponization of money love. It feeds the avarice of the usurer. It forces ever more debtors into ever more immoral behavior. It replaces love with commerce. It corrupts commerce, which becomes ever more exploitative. 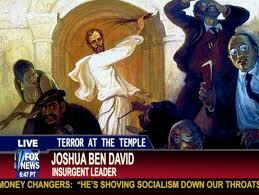 It rips apart the fabric of society and makes a mockery of any kind of social contract. Billions of people live in abject poverty all over the world because of it. Entire communities, nations are gutted to pay the interest to the opulent. Nobody counts the billions dying prematurely from its effects. Poor countries pay ten times more interest on their foreign debts than they receive development aid. It is the ultimate centralizer of power and it is global. It has been growing at a compound interest rate for centuries, and now this incredible cancer is ready to devour the host body. The European nations put up $4.5 trillion in handouts, easy credit and guarantees to ‘save’ their banks and the euro. The Fed provided an unimaginable $16 trillion dollars in easy credit to its banking buddies. Much of it was never repaid. This is ‘necessary’ because without banks we would not have money. So the West put up $20 trillion to have some bits and bytes and paper and coins circulate to exchange goods and services. Surely the end of our civilization is near when we allow such rapacious plunder while there is no money to save the poor from starvation and the Earth from pollution. Today, nobody knows how much Gold there is. All the Gold mines are owned and controlled by the Money Power. Those owning the mines are the Money Power, that’s how it all started. Vast amounts of Gold are in their vaults, ready to be unleashed onto the market through usurious lending, aiming to create asset bubbles, only to stop lending a little later to create a deflationary crash when people pay off their loans. The Golden Calf is the archetypal symbol of avarice; the Money Power is unthinkable without it. Yes, the volume must be managed, but that is unavoidable. No monetary system can exist without managing volume. The problem is not management; it is allowing vultures to do it. We want interest-free mortgages, no income tax, no poverty. We want abundance, good will, a cultural rebirth, fairness and an end to Plutocracy. Do you have a license to drive a vehicle? Do you have a registration for a vehicle to drive? Do you put your ‘X’ on a mortgage contract? Just a few of the many contracts you/we sign. The top one was signed by your parents and that completed an agreement with your corporate government that you are collateral against their borrowings…. in other words a taxation slave! You sign a license and that encumbers you, by admiralty law, that you will abide by the laws they invent and you will pay the penalties as proscribed by these contractual laws. Recently my son was issued a $400.00 fine for having his mini poodle unsecured whilst driving and will face further penalties, such as incarceration, should he not pay…. is this human moral law? You sign a registration and it’s the same all over again. Your mortgage is the ultimate sacrifice of your soul to usury! In other words you/we have contracted ourselves as well as our children to an amoral corporate world whose judiciary is profit thru usury. Without taxation our corporate governments could not pay the usury on the ever expanding debt that they so benevolently bestow onto our future generations who will face this oppressive debt and the inflation that it manifests. Had enough of taxation?….. had enough of your dollar buying less…. had enough of the thousand’s of admiralty laws passed by our Vatican educated and controlled lawyers who morph into self serving pollies floating all over the globe on massive salaries to spread the usury commandments? Have you registered your birth certificate name and thus contracted to vote at the various corporate government elections Gus? In my view registering and voting means consent. Yes… consent to a contract changing your legal status from a human being under Gods law to a ‘Person’ under Corporate law. Usury does not exist under Gods law but flourishes under Corporate law…. merchant bankers law…… they who control the world now. To reach the masses we should replace ” usury” with the word “counterfeiting”. The creation of money from nothing by private individuals is counterfeiting, since this new money represents increases in production by all people within our societies. Unless we sell off energy/resources cheaply to our masters, the debt can never be repaid. Why? When we work harder our banksters create money from nothing to equal it as debt.ie the harder we work, the more debt we incur. This is one of the reasons why the West has growth rates of 2-3% and China who has many Govt banks grows 8-12%. Fear causes people to act selfishly, and that seems to be the root of our troubles. For example, fear of nuclear annihilation and remorse for killing hundreds of thousands of innocent civilians in Aug 1945 convinced world leaders and scientists to take control of the world on 24 Oct 1945. Although I didn’t know it, my entire scientific career was spent trying to “leak” information past the gatekeepers of knowledge. Usury is not the original sin. Loaning is the original sin. The IOU. That’s not giving, not gifting. Lend freely, expecting nothing in return, Jesus said…………..